Check here if your shipping address is different from billing address. 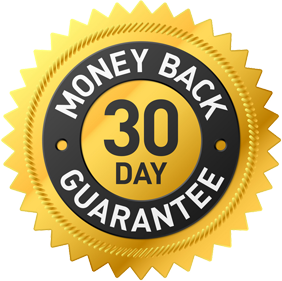 In the unlikely event you are unhappy with any Nightingale Remedies product, simply sent it back to us within 30 day and will give a full refund.No questions asked. Online shopping with us, Nightingale Enterprises, LLC, is 100% safe. Your Satisfaction is 100% Guaranteed. If you are dissatisfied with any merchandise from Nightingale Enterprises, LLC for any reason, simply return the product within 60 days for an easy refund of your purchase price, excluding shipping and handling. Follow return information which is shipped with each package. Send all returns to the address indicated on your packing slip/invoice. We suggest you ship returns to Nightingale Enterprises, LLC via a GROUND method that can be tracked (UPS ground / FedEx Ground / USPS Priority mail). Once your return is received, it will be processed within 10 business days. Nightingale Enterprises, LLC will not be responsible for loss or damage of return shipments. A credit will be issued to your original method of payment for the full purchase price of your order excluding shipping and handling and any separate fees. Credit will be issued within 5-7 business days of receiving your returned item. By accessing the website, you warrant and represent to Nightingale Enterprise, LLC, (referred to as “website owner”) that you are legally entitled to do so and to make use of information made available via the website.